Four scientists from the Department of Energy’s Lawrence Berkeley National Laboratory (Berkeley Lab) have been named Fellows of the American Association for the Advancement of Science (AAAS). Election as a AAAS Fellow is an honor bestowed upon AAAS members by their peers. Goldstein joined UC Berkeley as an assistant professor of biogeochemistry in the College of Natural Resources in 1996, and joined Berkeley Lab as a faculty chemist that same year. Currently, he is a professor in the Department of Environmental Science, Policy, and Management, where he served as department chair from 2007-2010; a professor in UC Berkeley’s Department of Civil and Environmental Engineering; and a chemist and faculty scientist/engineer in the Sustainable Energy and Environmental Systems Department within Berkeley Lab’s Energy Technologies Area. His research encompasses atmospheric chemistry, air pollution, biosphere-atmosphere exchange of radiatively and chemically active trace gases, and the development and application of novel instrumentation to investigate the organic chemistry of Earth’s atmosphere. He engages in field measurement campaigns, controlled laboratory experiments, and modeling activities covering indoor, urban, rural, regional, intercontinental, and global scale studies of aerosols and their gas phase precursors. In 1979, Kim moved from Duke University to UC Berkeley as a professor in the Department of Chemistry. That same year, he also joined Berkeley Lab’s Structural Biology Division as a faculty senior scientist. Today he is a professor of graduate studies and professor emeritus in UC Berkeley’s Department of Chemistry, and a faculty member of UC Berkeley’s Center for Computational Biology. He is also a faculty affiliate in the Molecular Biophysics and Integrated Bioimaging Division and Environmental Genomics and Systems Biology Division in Berkeley Lab’s Biosciences Area. Kim was inducted as a Fellow in the American Academy of Arts & Sciences and a Member of the National Academy of Sciences in 1994, and has earned many other awards and accolades throughout his career spanning six decades. 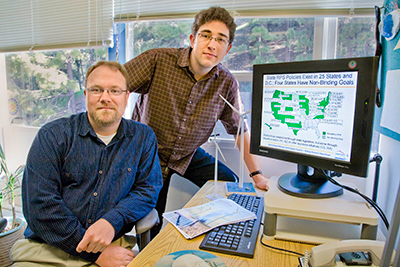 Tringe joined the U.S. Department of Energy Joint Genome Institute (JGI), a DOE Office of Science User Facility operated by Berkeley Lab, in 2003. Today she is JGI’s Deputy for User Programs and leads the Microbial Systems Group, which focuses on sequence-based approaches to studying microbial community assembly, function, and dynamics. She is also a researcher in the Environmental Genomics and Systems Biology Division in Berkeley Lab’s Biosciences Area. Her research interests include terrestrial carbon cycling, particularly microbial factors influencing methane fluxes at terrestrial-aquatic interfaces, and the contributions of plant microbiomes to stress resistance. In 2011, Tringe was named one of 2011’s “Brilliant 10,” the annual list of top young researchers compiled by Popular Science magazine. In adding her name to the list, the magazine recognized her $2.5 million grant from the DOE Early Career Research Program to study the role of microbial communities in restored wetlands in California’s San Francisco Bay-Delta region and their impact on long-term carbon sequestration. Yelick joined UC Berkeley in 1991 and has been a faculty scientist at Berkeley Lab since 1996. As the Associate Laboratory Director for Computing Sciences, she oversees computing research and facility directions for Berkeley Lab, including both the Energy Sciences Network (ESnet) and the National Energy Research Scientific Computing Center (NERSC), where she served as director for five years. She is a member of the National Academies Computer Science and Telecommunications Board and previously served on the California Council on Science and Technology. In 2017, Yelick was inducted into the National Academy of Engineering in recognition of her “software innovation and leadership in high-performance computing.” Her work has improved the programmability of high-performance computing through innovations to parallel languages and runtime systems. Yelick’s leadership at the national level has significantly influenced international scientific research on behalf of the U.S. Department of Energy. 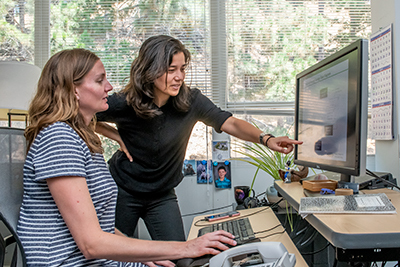 She has worked with interdisciplinary teams developing scientific applications and currently leads an exascale computing project in genome analysis for microbiomes. All of the new AAAS Fellows will be presented with an official certificate and a gold and blue rosette pin on Saturday, Feb. 16 at the AAAS Fellows Forum during the 2019 AAAS Annual Meeting in Washington, D.C.
Go here to see the complete list of 2018 AAAS Fellows. For more information on the AAAS Fellows program, visit www.aaas.org.